You can always count on Alfa Romeo to serve a hefty slice of style, and that's exactly what the GT provides. Far more characterful than rivals like the BMW 3-Series or Audi A5, the front-wheel drive GT is one of the most distinctive sporting coupés around, with eye-catching lines courtesy of Bertone. 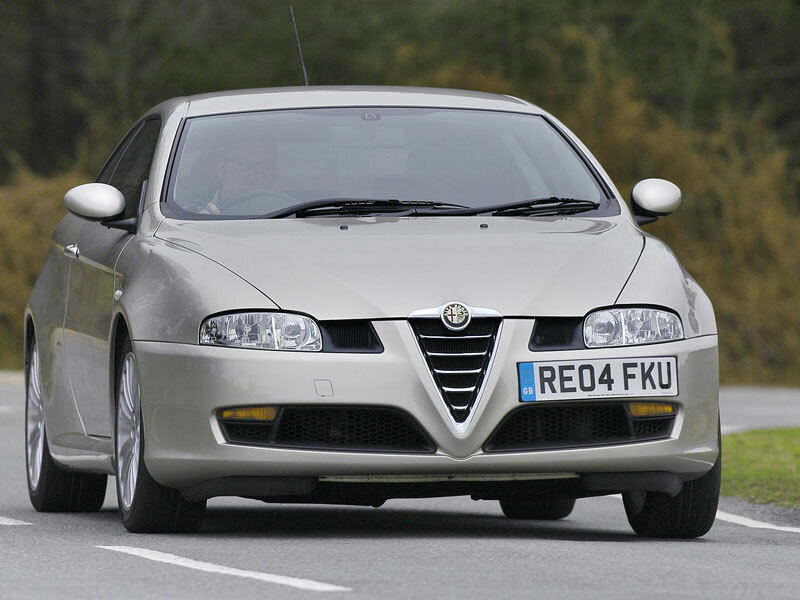 Based on the Alfa Romeo 156, the GT is a genuine four-seater that's more reliable than you might think and great value too. 4/04: The GT arrives, with 2.0 or 3.2 V6 petrol engines, or a 1.9 turbodiesel. 1/07: The 2.0 JTS appears with direct injection. The limited edition Blackline features 18-inch alloys, metallic black paint and a sportier interior. The 1.9 JTDm gets Multijet injection and is available with a Q2 limited-slip diff. 7/08: The special edition Cloverleaf (in 2.0 JTS or 1.9 JTDm guises) has 18-inch alloys, sporty exterior highlights plus a leather-trimmed interior. Electrics and electronics can be temperamental; the central locking, stereo and boot release are the most commonly affected areas. They can also be tricky to fix too. All GTs get alloy wheels as standard, measuring up to 18 inches in diameter; watch out for kerbing damage as repairs can be expensive. The GT can struggle to put its power down, so go for a car with the Q2 limited-slip diff.